These assignments check your understanding of Marine Orders 32 Cargo Gear, the Lessons & the Workbook. Describe your preparations and the precautions before a lift with this equipment. Questions 2. What is this lifting arrangement called and what are the requirements in Marine Orders 32 (Cargo) for limiting it in use. 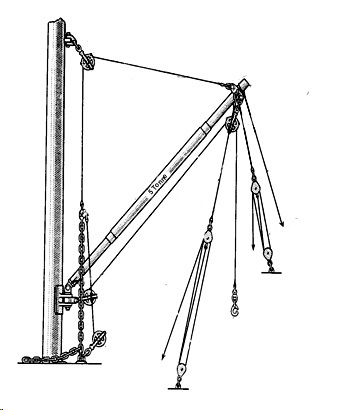 Describe the advantages of this lifting arrangement compared to a single derrick. Questions 4. List three precautions you would take when loading or discharging heavy loads on a small vessel alongside a wharf. Questions 5. What standard precaution is used to prevent loads from slipping off the cargo hooks of lifting gear.